One thing that cheetahs, cadavers and cleaning supplies all have in common is they are all items the University of Oregon’s Purchasing and Contracting Services department has helped units on campus acquire. “You name it, we probably buy it,” said Shari Powell, the department’s operations manager. Over the past few years, the unit has embraced a number of changes — including new leadership — to make renting those cheetahs easier and more efficient for units. All of these changes have not gone unnoticed. U.S. Communities, a national cooperative purchasing program, recognized the department with an Excellence in Cooperative Purchasing Award. Changes in the department started with the implementation of a purchasing portal in 2016. It reduced the amount of time needed for contract intake, automated the approval processes and tracking, and provided a more transparent way to see the status of a contract. 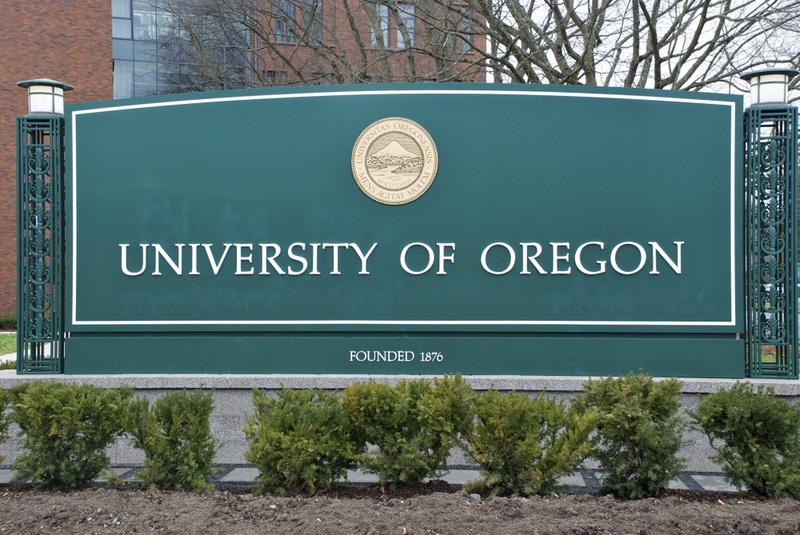 The unit adopted a strategic purchasing policy in 2017 aimed at expanding traditional procurements to cover more goods and services, accessing existing agreements and building bridges between departments on campus to ensure UO is buying goods or services collectively whenever possible. Duck Depot, an e-procurement system, was adopted across campus in 2018. Duck Depot’s rapid deployment and acceptance let the office negotiate with Duck Depot vendors to capture significant savings and rebates for the university. Throughout these initiatives, Purchasing and Contract Services also has been steadily expanding outreach and partnership with businesses that have historically been underused. Greg Shabram, recipient of the 2017 Officer of Administration Star Award, became the university’s first chief procurement officer in November, after a competitive search. He had been the interim director of purchasing and contracting since February 2018. Before serving as interim director, Shabram worked as associate director and as a contracts manager. He plans to keep the department’s focus on ensuring the best value on all UO purchases. Shabram said the university can expect more master contracts that cover goods and services commonly purchased across the whole campus. He also wants to continue to expand the procurement card purchasing program, which has grown exponentially following a policy change allowing departments greater discretion in their use of p-cards.